Vendors Spaces Available for the FREE Family-friendly event which includes live music, children's activities, raffles, food, and more. 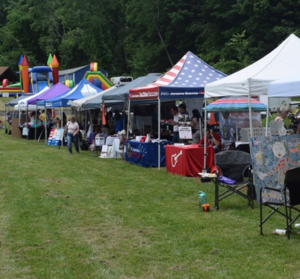 The 3rd Annual Brewster Music Festival will kick off summer on June 8, 2019 from 12-7 PM at Wells Park at 98 Oak Street in Brewster. The rain date is June 9, 2019. This FREE family-friendly event includes live performances by local bands and artists, children’s activities, food trucks, raffles, and vendor booths. The Cultural Arts Coalition, who is currently working towards restoring the Old Town Hall Theater located on Main Street, is seeking vendors to enhance this major community event. If you haven't been to Wells Park lately, you are in for a treat! The expansive lawn, stage, children's play area and pavilion provide the perfect venue for family fun and entertainment. Last year’s event was attended by over 1,000 people from all over the tri-state area, and they anticipate the numbers will grow this year. Local merchants, crafters, artists and artisans are encouraged to apply for a 10x10 booth space. Only vendors selling products will be accepted this year. To express interest, please visit our website to complete an application by April 30, 2019. Booth spaces are available for $75 each.